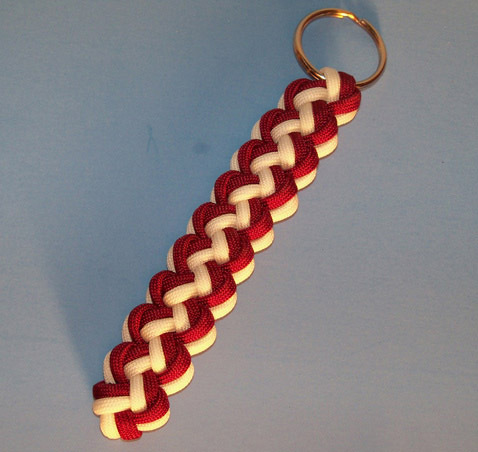 I finally started my Alabama Crimson Tide Fan Gear. The first of the series uses Burgundy and White paracord. 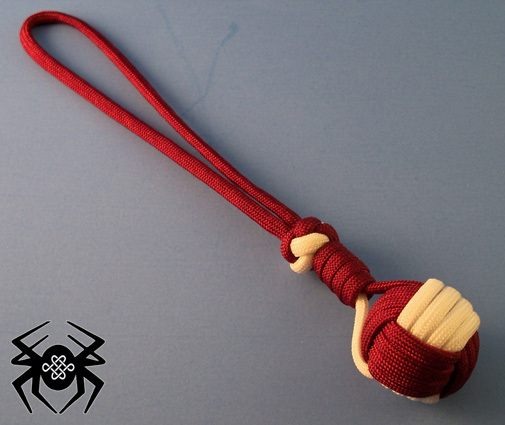 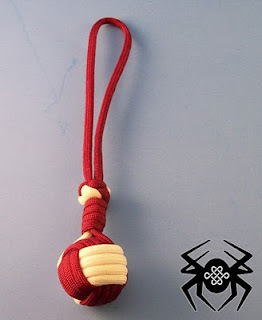 The first knot is a Monkey's Fist with Snake knot finished off with a Hangman's Noose. 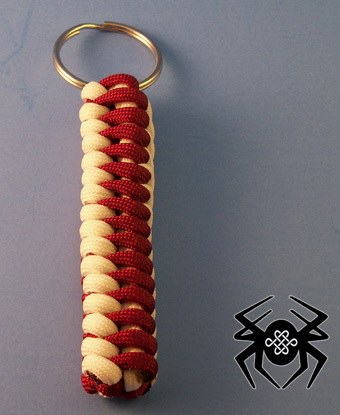 The other two are Chain Sinnets, also known as a Zipper Sinnets. 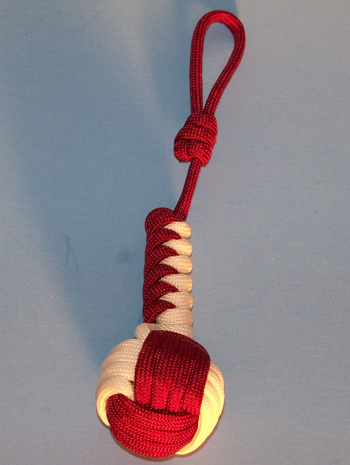 To tie the last knot, follow J.D. 's tutorial at TyingItAllTogether. As for the middle knot I've included a short tutorial located in the previous post. I've returned to this post with more Tide Gear, hope you enjoy. 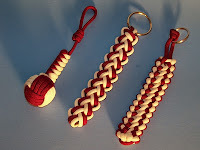 Thank you, I really appreciate the feedback from a fellow knot tying enthusiast. 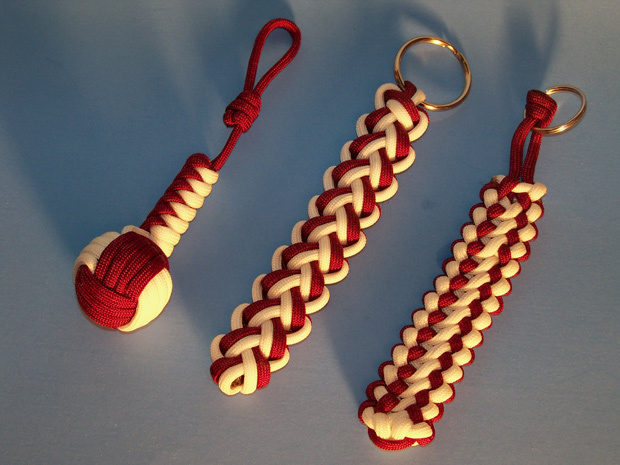 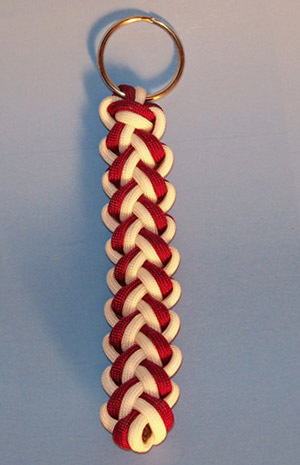 what color paracord are you using for your crimson tide cord and where do you purchase it? Most, if not all of my paracord comes from Supply Captain. 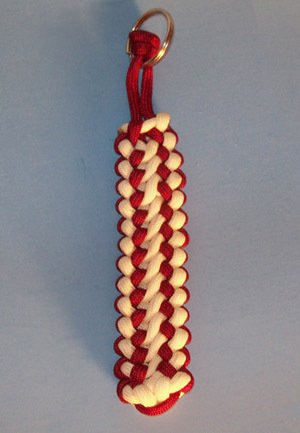 The color I use for tying "Bama Knots" is burgundy, this is not the "true" Crimson Tide color but it's as close as I can find. 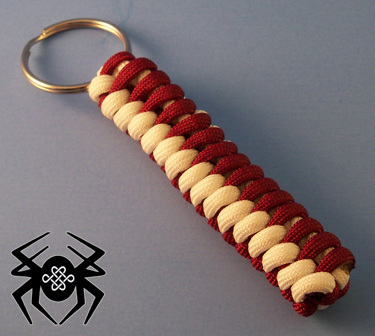 Good day sir,just found your site and very well done.A bit of a knot buff or try to be , long time in the mearchant navy, have put site on my fave list.Thanks again. Alan..